Wow, the old man played with Ruth? Maybe he got caught jumping in front of the Babe at the buffet table a few too many times and had to get a little crazy to survive. Great card, thanks Pacific. 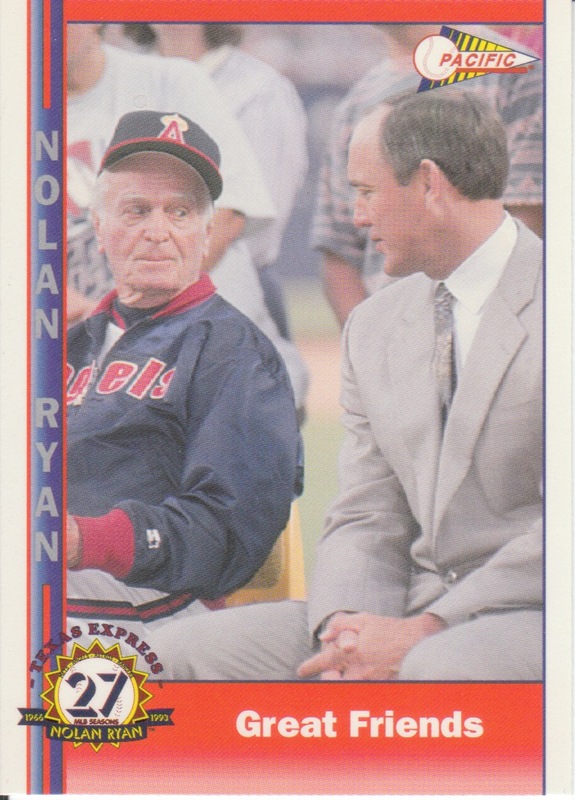 A bronze parallel of Nolan! SWEEEET! The color of this parallel goes well, I think, against the classic Astros rainbow jersey. So, it's been a long summer. The Astros have SUCKED... there is no hope in Mudville, there is no Casey on the roster or even in the minors... we're getting farmed out to the AL, to become another incarnation of the Royals, Blue Jays, and until this year the Orioles: once proud franchises on hard times with nothing to do but watch the ship sink. 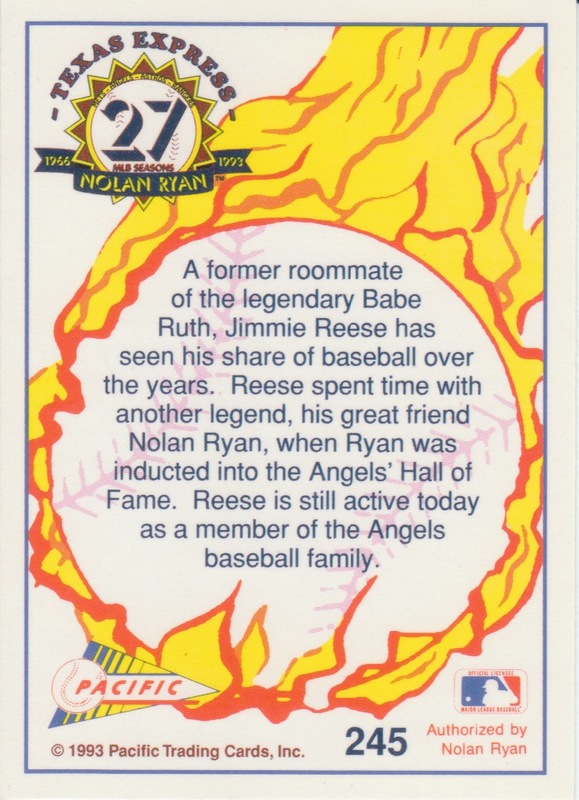 I used to be able to go down through the roster and know who all the players were, where about we acquired them, etc. 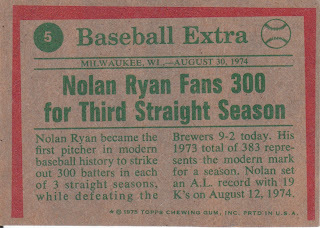 Now, not so much... we've got guys who I think may have been in a slow pitch church league team in Spring Training. 80% of the roster would be at AAA in any other organization. Drayton left the cupboard bare, all the while muttering "We're champions... killer bees... Junction Jack... I like trains..." on his way out the door. Jim Crane has further dismantled what was left of the club, put up a wall of advertisements in left field completely blocking the stellar view of downtown and then began discussing removing Tal's Hill, the train in left and the Crawford boxes. The man is out of control. He accepted Selig's blood money and the fans categorically got screwed in the end. 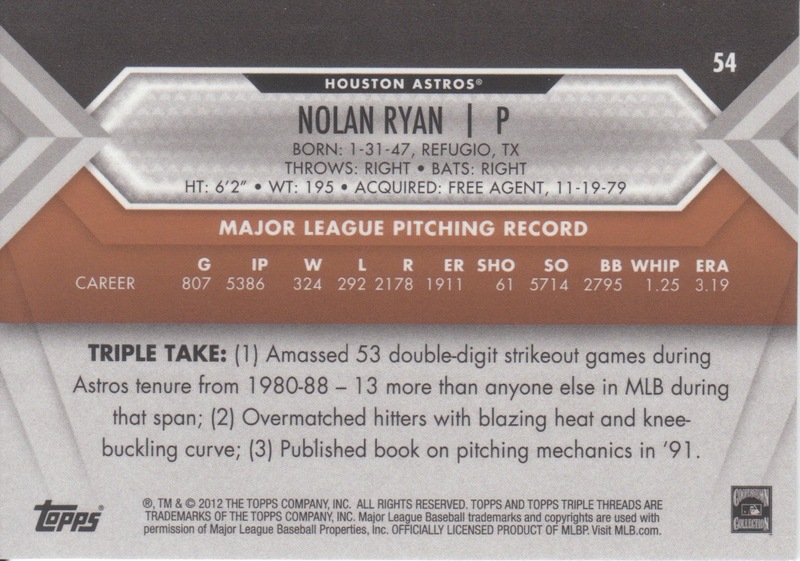 And Topps, well Topps has decided that Astros collectors don't even need cards of the scrubs we've got, no matter how promising Jose Altuve, Justin Maxwell, and Jimmy Paredes are (and for those of you scratching your heads, yes all three are current Astros). Finest and Chrome came and went with absolutely no love for the Astros. 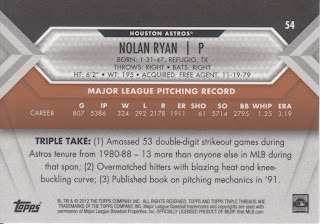 Heck, even Bowman Platinum had zero Astros in the base set and only 3 Astros in the inserts. My collection has gotten out of control over the past year. I've spent ENTIRELY way too much on sets I don't either don't like (2007 Artifacts) or have no means of completing (Museum Collection). I have twice as many 5,000 count boxes as I did when we moved to Mobile a year ago. They aren't all full, but you get my point. It's getting out of control. My computer desk is a mish-mash of half completed trades, cards I haven't put in binders and random cards I have no clue why I have them pulled. It's a disorganized mess. My entire "man cave" has turned into a pit of hopelessness... and I blame the Astros and Bud Selig. In all seriousness... I've devised a plan... and it will be benefiting all of you, my loyal readers. First of all, I'm going to be getting my 5,000 card boxes cleaned up and cleared out. I will be separating the sets out and creating lots. I will ask nothing more than the following for each lot: shipping plus whatever you think is fair. Once the items have arrived at your location, you will see the postage charge on the package and then you take a look inside at the lot and decide what you think is fair, then paypal me. Sounds pretty easy eh? I will also be working on changing the method of my collecting. The sets coming out lately just aren't doing much for me and I'm going to be changing focus to my big 3 player collections: Bagwell, Biggio and Ryan. There are cards, high end, low end and everything in between that I really do want of these three but I spend more time and money chasing boxes and junk I don't need. I will be reducing the set needs lists on the sidebar down to just a couple that I want to finish up for the sake of my sanity. Group breaks - Yes, they are going to continue. But I'm going to do them a bit differently. I'm going to move away from the "2 teams for ___ dollars" model I've used for a while. I have grown a bit weary of getting a bunch of cards of a second team I don't really want, and I am sure you have too. This means I'll be running the sign-ups until the break fills, then secure payment from all participants. I am going to try and move away from the late 2000's UD products and get into some different products and/or sports. I want to try an NFL break, as I think I may want to pick up some Texans stuff. 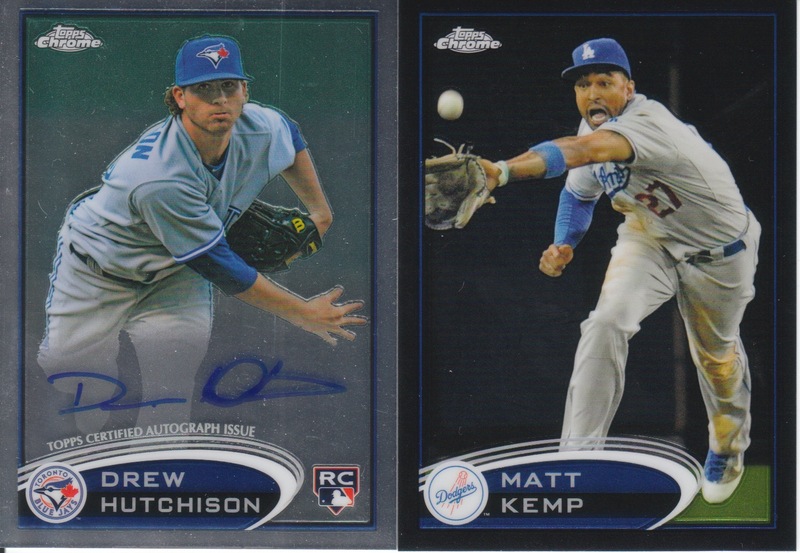 I will be aiming to keep the price below $10 per team shipped, with quality taking precedence over quantity of hits. I originally considered the idea of taking a 2-3 month hiatus, but I just can't see myself being able to stay away. Hope everyone enjoyed that little video... really, if you didn't watch it until the end, you really should! A big thanks to everyone over at TeenyMates for giving me a shot at reviewing this product! As I mentioned in the video, TeenyMates are sold 2 per package along with 2 puzzle pieces for $3.99 at Target stores! They are sold in the retail gravity pack-style boxes and should be pretty easy to find! 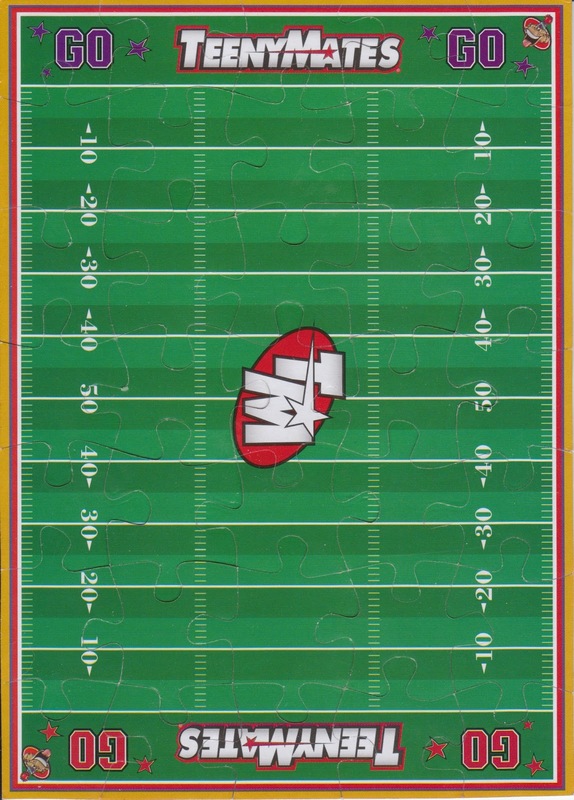 Here's the complete puzzle in all it's glory front and back! Pretty cool if you ask me! These little dudes rock and the poster/puzzle/field idea gives you another level of set collection! 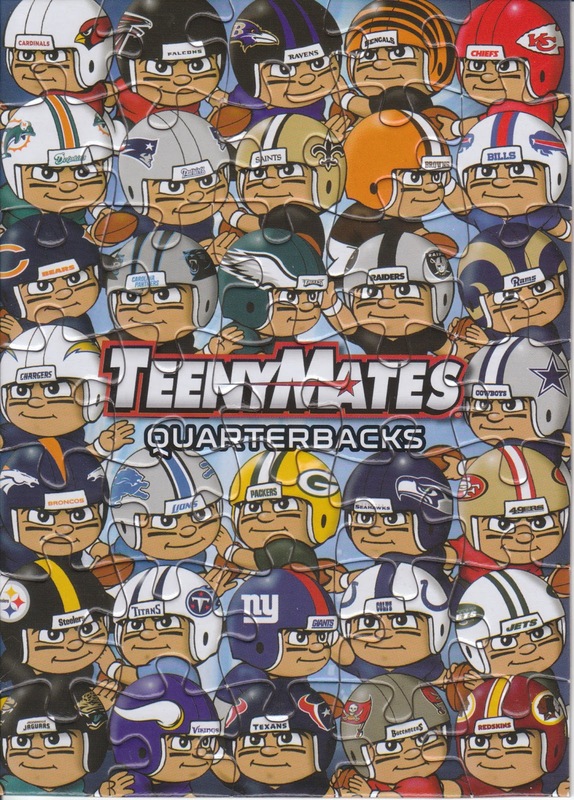 The TeenyMates website also has all kinds of downloadable games, coloring books and computer wallpapers. 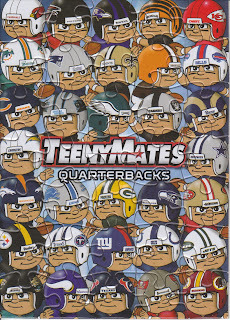 Future releases of TeenyMates are planned with other sports being included! Can't wait to see what league is next! Highly collectable! Once you start getting a good number of teams, you definitely want to complete the set! Chase figures - 3 rare, rarer and rarest figures make the product even more fun to open. I am bound and determined now to get a Houston Oilers figure! Licensed product - Of course this product would be next to nothing if it wasn't licensed, but it's great to see the NFL logo on each and be able to have your team figure on your desk or mantle... or prominently displayed elsewhere. As much as a 1" figurine can be displayed, right? Great for kids! Not of all ages of course, as there is a choking hazard for the small kiddos, but I'm sure these would appeal to all the kids out there who are NFL fans at a young age. Price point - some people may balk at the $3.99 per pack but it won't be me. Duplicates - Yes, it's a risk we all take with buying any product blindly. However, I would also argue that this also encourages trading... so those of you who end up with this product and have duplicates, let's make a deal! 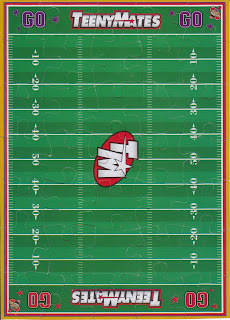 Ok, so overall, I think this is a fun, solid and great product for NFL fans, kids and collectors! They are fun and the blind aspect of each pack helps keep it fun. What would be the point of seeing exactly which ones you're going to get, right? I give this product a 4.5 out of 5 stars! I really like it and plan on buying a bunch more! Ok, so if you watched the video, you know what to do! And if you read this far, that should be a hint to go watch the video to the end! Come on, it's only 6 minutes of your life... Sunday night, 9:30pm is the deadline! I, The Dimwit, do solemnly swear to never buy another box of 2007 UD Artifacts. I have subjected both myself and my readers/group break participants to too much pain watching this product spew forth it's crap laden bounty. The boxes were ordered yesterday. They will arrive tomorrow here in Mobile, AL. I'll get the first box up tomorrow night and one more each the next two nights. I have to work Saturday so the "big" box won't go up until after I get off work. 3) Boston - Carlos S.
10) New York Mets - Carlos S.
3) Boston & Seattle - Carlos S.
10) NY Mets & Minnesota - Carlos S.
There you go. Trading allowed! Just leave confirmation in the comments below. Wow, that was fast! All 13 regular slots are full, only waiting for payment from Derek, madding, Stealing Home and Matt Pederson. This is going to be a great break! Once I get payment, I'll get the boxes ordered so hopefully we'll be busting boxes by the end of the week!!!! So I'm going to dip into a couple of products we've previously busted here at The Daily Dimwit and open up a high dollar box of product that I've never opened before! 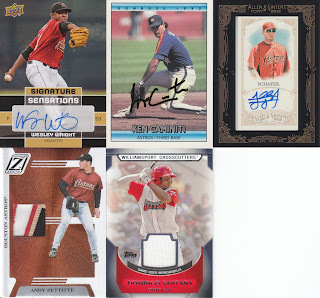 3 Relics and 1 Auto per box! Plus some great looking base cards! A fan favorite! How about 3 more relics and one more autograph?!?!?! 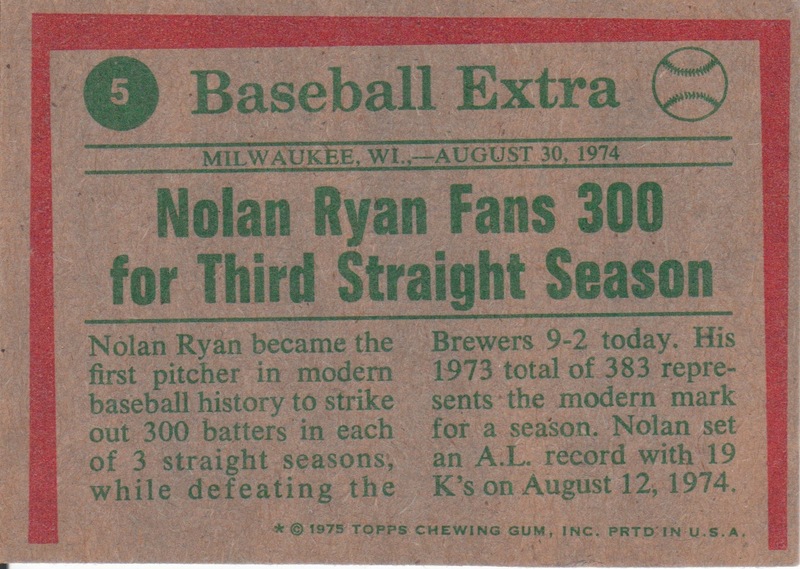 That's 8 hits and we're not even at the last box. 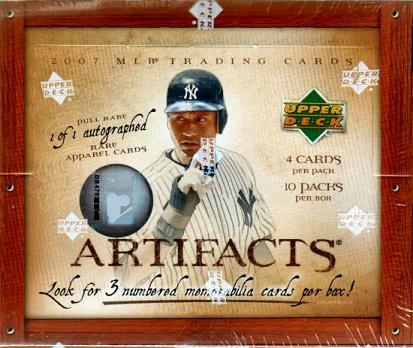 Artifacts is great for "hit" collectors for their teams, lots of variety and a good mix of new and old school players! Oh YEA!!!! That's one more autograph, five more relics and 5 slabbed uncirculated cards! This is going to be a fantastic break! 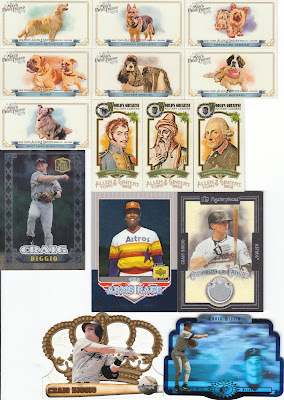 That's 14 hits total plus the added 5 uncirculated! This is going to be fun. 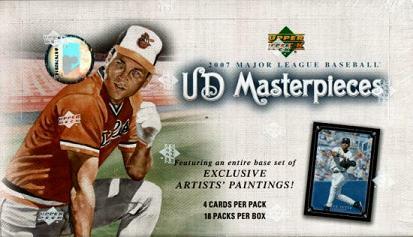 Topps Pristine Legends Edition has an incredible mix of old school players. Please note this is NOT the regular Topps Pristine, but a separate product all together. Alright, because the "big box" is a legends product, there are going to be 13 slots for this break, with a 14th and 15th slot that will be a discounted slots for Arizona/Colorado & Florida/Tampa since they will have no representation in Pristine Legends. The 13 slots will be $18 per slot, with each additional slot costing $16. Each slot will get you one team of your choice with a second team randomly assigned once all slots are full. The two discounted slots of Arizona/Colorado and Florida/Miami will be $10 per slot shipped. If you have a slot already and want to pick up one of these discounted slots, it'll be only $8. Any multiple team cards will be randomized among the teams involved. In Topps Pristine there are cards depicting players in their college uniforms, on the back of the card the player is shown in a team uniform, this team will get that card. Example: Pete Incavilia is shown on the front as an Oklahoma St. 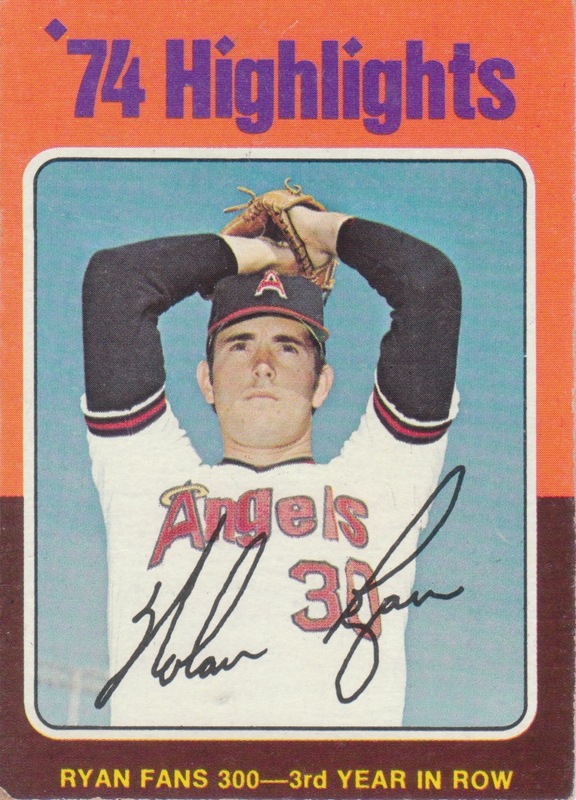 Cowboy, on the back is a headshot in a Rangers uniform, thus the card would go to the Rangers. Any disputes will be resolved by an unbiased third party blogger not involved in the break, and/or by random.org where needed to assign the card randomly among those having claims to the card. The faster this fills, the faster we can get to busting packs of AWESOME CARDS!!!!! Here's what I was able to pick up! A SWEEEEEEET autograph that I needed for my Gypsy Queen autograph project! Only about 40 more to go!!! Haha! 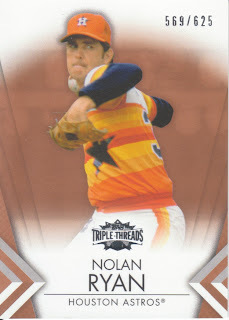 A couple of Nolan cards, including another jersey card! 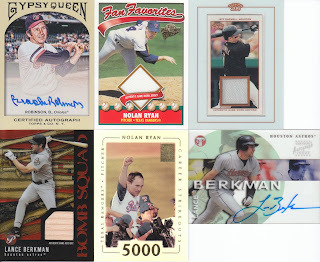 The Berkman auto is AWESOMe, on the clear acetate stuff that I love! With some things settling down here at the Dimwit home... I've got a question about what you guys would like to do for the September group break. 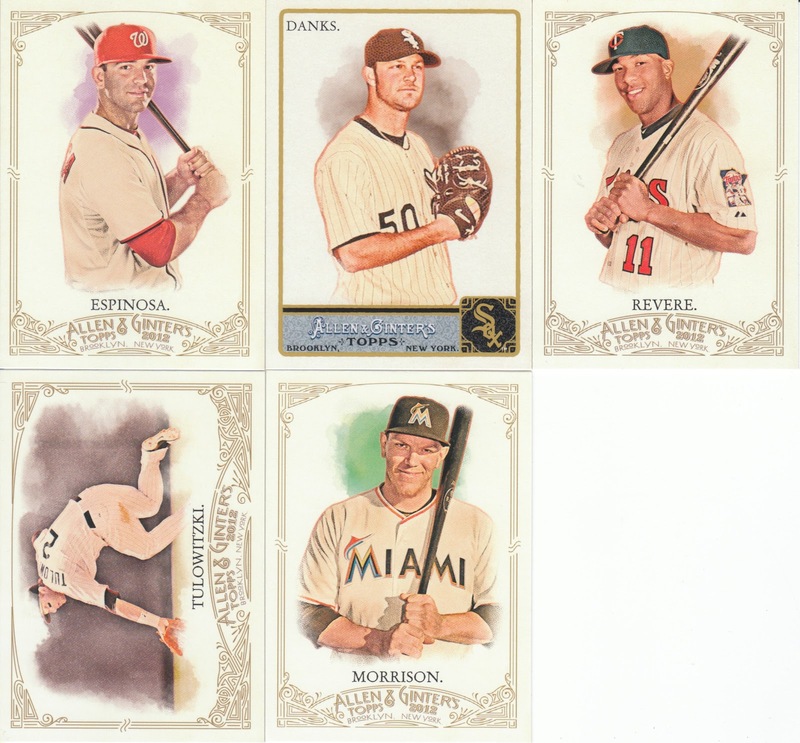 How about a case break of 2011 Topps Lineage? 10 boxes, 3 hits per box... 30 hits with some great old timers autographs and current players as well. Cost: this is the best part, only $20 per team. Again, please give me some feedback, let me know if this would interest you or if you'd rather just do another 2-4 box break with 2 teams for $15 or so. 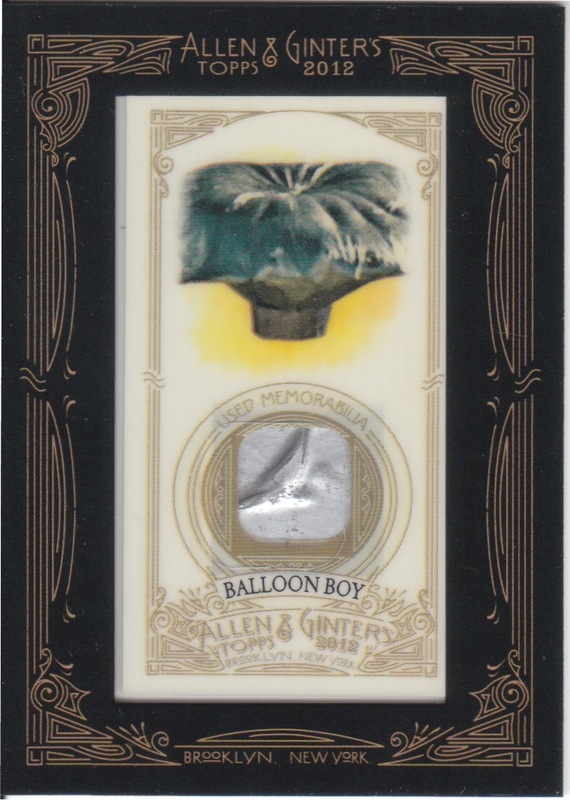 Also, I could do a similar case break with 2010 Topps T-206, but the cost may be around $23 per team. Plenty of options, let me know what you think... PLEASE!!!! I need input!!!!! "I’m in the category of fan who believes that as painful as this season has been, it’s a necessary evil. We need to bottom out. I never thought last year was the end. There were too many bloated salaries for veterans who I never really felt earned their pay (Wandy, Lee, Lyon and Myers). There is a reason the last three were available on the free agent market for Houston , and it is remarkable to me that the best deal we got for Wandy (supposedly our ace and best pitcher on the staff) was from the Pirates and not a “premier” team like the Yankees or Angels who arguably could have offered better packages. I’m not amazed by any of the prospects we’ve gotten in return on all these trades, although I am surprised with the Blue Jays deal in total, I just don’t see what the end game was for Toronto . They got older and took on money. Good move by our GM, for sure, especially since we’ve moved Francisco on for a PTBNL. We gave up no prospects or players of real impact on our system and picked up some prospects who might just pan out. I’ve been encouraged by the early progress of our draft class this year, as well as the development of our minor league program in just the first year under Ludhow. Almost every level is in playoff contention within their respective league. Draft picks have been promoted to the level of being challenged, which I feel Wade was inadequate at doing. He let too many guys stay in the lower levels for too long and I think it stifled their competitive nature. Hopefully some of the last few picks from the Wade regime pan out with Springer, DeShields and some of the pitchers as they’ve shown the ability to succeed thus far.As for Mills, I felt he needed to go last off-season. There was no point in bringing him back for this season knowing he was a lame duck manager on a team that was going to be stripped of pretty much all the veteran talent that was on the club, and that his philosophies did not exactly mesh with the new front office saber-mantra. I think it would have behooved Ludhow to bring in a complete new staff of “his guys” before the season to get the rebuilding kicked off a little more soundly. Keeping Mills around may be one of the few missteps made this year. I’ll be very interested to see who comes in as part of the coaching search. I think there will be an additional culling of talent from the roster before Spring Training and wouldn’t be surprised to see Bougesevic, Schafer, half the bullpen and other fringe guys put on waivers at the end of the year. The question is whether Crane will be open to chasing free agents. Not counting any arbitration eligible players, they only have $5.5 million committed to contracts for next year, least in the majors. Do they fill in the roster with prospects being promoted and low-cost free agents, or do we make a splash or two in free agency. If I were a betting man, I’d say the former rather than the latter. I think Crane is working to reduce the payroll in an attempt to make up some of the debt he incurred in buying the team. We’ll get the revenue sharing money and however much is required to be spent will, but I think we’re in a 5 year re-build that will be based on shrewd drafts and timely trades for prospects at the peak value for current players. With Paredes looking to be a solid 2B option, I think it gives us the ability to trade Altuve this off-season if the right package of prospects is put together. I’d hate to see him go, but if you’re going to sell high on Altuve then now would be the time to do it. Well, that turned out to be a lot more in depth than I thought it would be. Haha, I should copy and paste this into my blog! I had a bet at the beginning of the season with two buyers over on the 10th floor there in the tower. They both felt the Astros would win 60+ games, I took the under and predicted 54 wins. Looks like I’m going to win that bet!" I had a couple of packages in the mail today... first up we have a purchase I made from Kirk over at Eutaw Street Cardboard, he put up a relic from Allen and Ginter that I had my eye on for a while and was just waiting for a fellow blogger to post! Needless to say, I'm pretty excited about the 3 cards I got. I was able to trade for the Nolan Ryan by packaging a Frank Robinson and a Carlos Gonzalez together, luckily someone swung the deal. The Rivera and Felix were actual cards I unlocked! The cards are thick too! 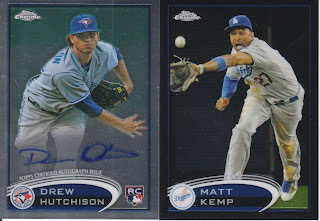 The front and back seem to be glued to what would be a "blocker" style card in most hobby packs these days. Being a die cut, I was expecting a card the thickness of Chrome, with the same curvature. But these are thick, heavy die cuts that look AWESOME in person. I need to make a trade for high quality hits for University of Alabama alumni football cards. By the way, an update on things here at the Dimwit abode... my work changed course, well actually the client my company works for changed course, and for us salaried workers they are going to pay us 40 hours for last week!!!!! WOO HOOO!!!! I still am trying to sell off some items on eBay but the need isn't quite as great as it was 4 days ago when I was told we were up %$#$ creek without a paddle. Anyways, for all those who participated in the Dimwit Fire Sale, I really do hope you enjoy the cards and I'm thankful that you helped us out in our time of need. I'll definitely keep those who helped in mind and hopefully will be able to return the favor some day. The good karma you sent out will certainly come back to you some day! But for now, a tease... the item in question is a piece of memorabilia with 3 HOF signatures... 2 of which would be new additions to my collection... so send me trade offers if you have anything football related from the U of Alabama!!!! !